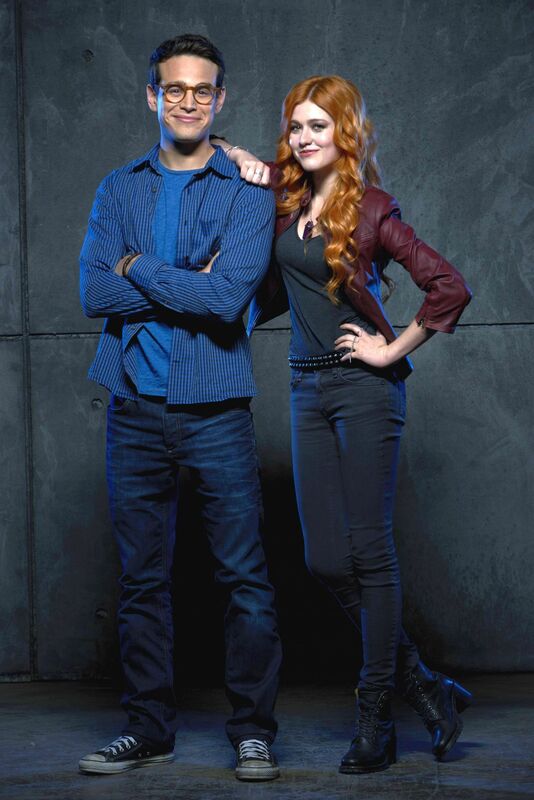 Simon and Clary. . HD Wallpaper and background images in the Shadowhunters TV 表示する club tagged: photo shadowhunters tv series simon lewis alberto rosende katherine mcnamara clary fray. 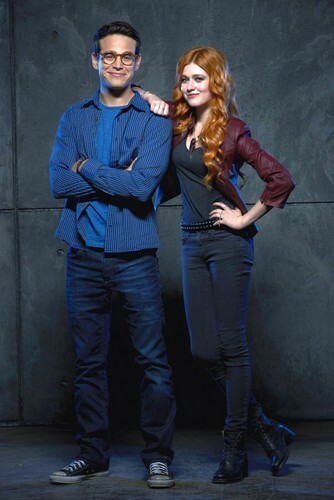 This Shadowhunters TV 表示する wallpaper contains 長ズボン and 長いズボン. There might also be pantleg, パンツレッグ, 上着, overclothes, アウターウェア, オーバーキャップ, アウター, hip boot, and thigh boot.